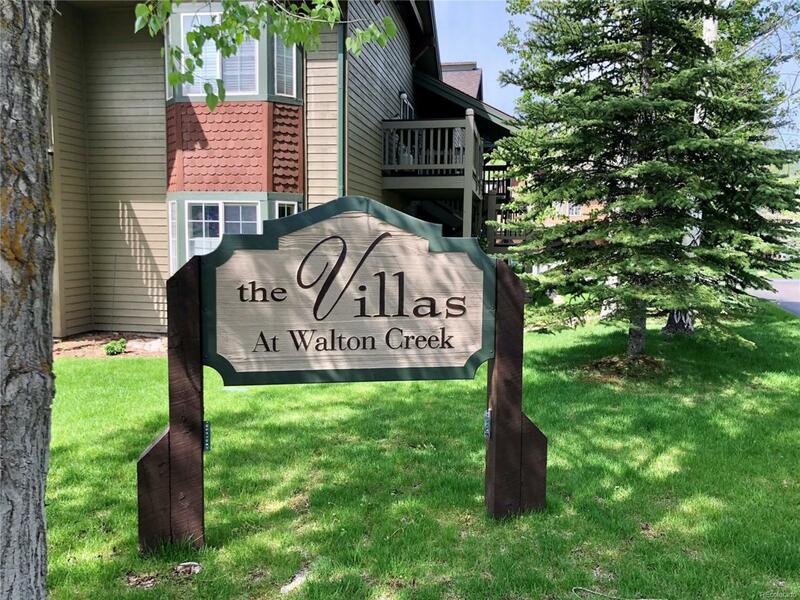 This 2 bedroom/2 bath condo is on the ground level allowing for easy access - no stairs!. A very comfortable layout allows you to gather in the open kitchen, dining, and living areas. Upgrades include: new paint, newer carpets, newer washer/dryer, and slab granite countertops in the kitchen. There are 2 sliding glass door patio options: you can walk out from the living room or master bedroom. The attached and heated 1-car garage has ample storage space for toys and the ability to protect your vehicle in the winter months. The complex features green space between the buildings as well as a playground area, grills, picnic tables and common hot tubs. The HOA fees take care of nearly everything, including gas heat, hot water, cable, internet, snow plowing, trash, building maintenance and common amenities. Owners are allowed to have pets. Located across the street from the bus stop.